I've never been looking for defined equipment, because it requires dozens of mouthpieces trial hours. I prefer choosing definitely one mouthpiece and adapt myself to it. But if we can modify the choice, back and forward, to get something adapted, then it's different. Syos process is new and deserves to be followed, especially when we see how fast they progress. Renan is born in a family of musiciens and begin very early to learn music. He study first with Oboe and guitar in the school of Thiais, then he begin to learn jazz and saxophone when he start his studies in musicology. After his degree in musicology and his certification from the CRR (Paris conservatory), he becomes saxophone teacher in Chevilly-Larue conservatory. 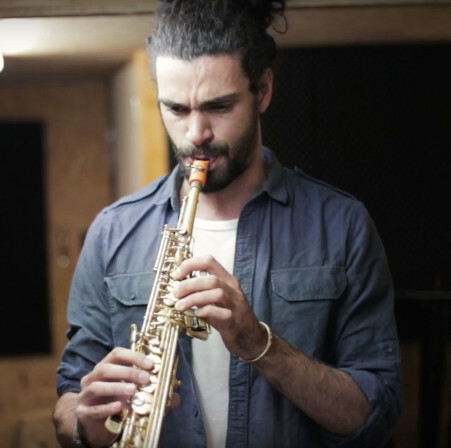 Renan is an active member of Paris jazz scene: he plays in Danny Buckton Trio, Bissap Sextet, Ornicar, La cinquième Roue and Electric Struggle. Multi-instrumentist and always curious, he melt in each of the sound aesthetics he met in these different bands, always looking for new styles and self improvment.